Poor aqueous solubility and slow dissolution rate adversely affects bioavailability of pioglitazone hydrochloride. This study was undertaken to improve dissolution and bioavailability of pioglitazone hydrochloride through preparation of stable solid dispersions by melting and solvent evaporation method using Solutol HS 15. 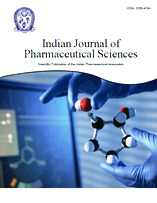 Solubility of pioglitazone hydrochloride was enhanced by 9 to 49 fold as the drug-carrier ratio was increased in solid dispersions as compared to pure drug. Furthermore, compared to pure drug or physical mixture, solid dispersions significantly improved the dissolution rate and the extent of drug release. Solid dispersions at 1:7 drug:solutol HS 15 weight ratio showed complete and rapid drug release within 15 min at pH 1.2. The Fourier-transform infrared spectrum revealed the chemical compatibility with solutol HS 15. Differential scanning calorimetry and X-ray powder diffraction pattern revealed a change in crystallinity to amorphous state that supported the enhancement of solubility of pioglitazone hydrochloride with Solutol HS 15. In vivo test showed that Solutol HS 15-based solid dispersions showed higher AUC0-t and Cmax, which was ~4 times higher than that of pure pioglitazone (p<0.05) implying solid dispersions could be effective in increasing the bioavailability. In conclusion, solid dispersions with Solutol HS 15 prepared using solvent evaporation method appeared to be a promising technique to improve the dissolution, bioavailability and stability of pioglitazone hydrochloride.